César Maldonado Monter has the spirit of a budding entrepreneur. He embraces new challenges with a strategic outlook, never letting his optimism get in the way of a job well done. His determination is part of what brought him to Université du Québec à Trois-Rivières under Professor Simon Barnabé for a Mitacs Globalink Research Internship. 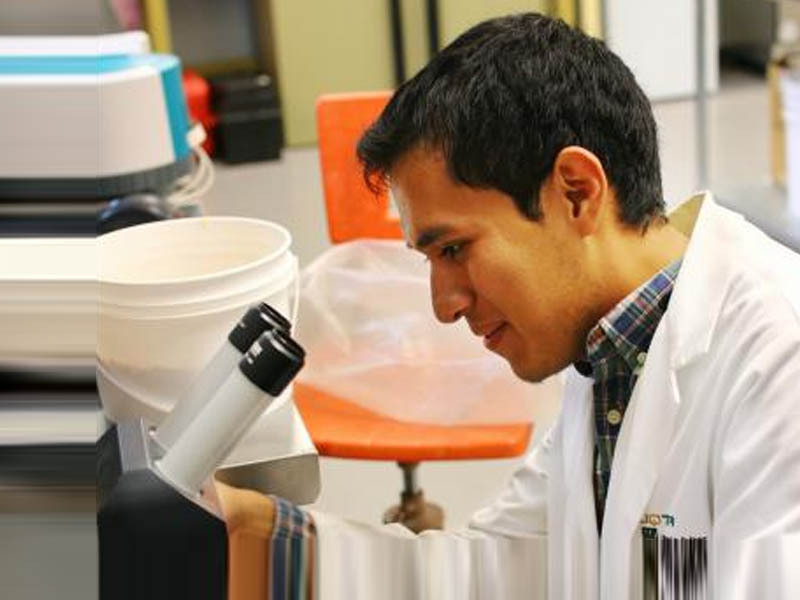 Hailing from Mexico, where he studies Chemical Engineering at Tecnológico de Monterrey, César was introduced to Mitacs through a friend and former research intern. Upon seeing his friend’s photos and hearing stories of the research, he simply said, “I need to go to Canada!” With that, he applied and was accepted to do research in biofuel production in Quebec this summer. The research that César is taking part in will help to diversify Canada’s pulp and paper industry by taking waste products from lumber mills and agriculture, called biomass, which can be refined into raw materials for polymers and chemicals, as well as fuel for cars. César is developing a method to efficiently refine the biomass, in a way which does not waste the input product or use vast amounts of energy. Mitacs would like to thank Industry Canada, the Government of Alberta, the Government of British Columbia, the China Scholarship Council, le Coordenação de Aperfeiçoamento de Pessoal de Nível Superior of Brazil, the Ministry of Education Kingdom of Saudi Arabia, the Monterrey Institute of Technology and Higher Education, the National Autonomous University of Mexico and Sorbonne Universités for their support of Globalink.